The classic Henley top first appeared in the mid-1800s, when it was the traditional uniform of rowers in the English town of Henley-on-Thames. Today, shirts like this Wrangler Riggs Men's Ash Heather 3W750 AH Long Sleeve Henley Shirt are stylish and comfortable alt ... (see full details) (see specifications) #WRG3W750AH. The classic Henley top first appeared in the mid-1800s, when it was the traditional uniform of rowers in the English town of Henley-on-Thames. Today, shirts like this Wrangler Riggs Men's Ash Heather 3W750 AH Long Sleeve Henley Shirt are stylish and comfortable alternatives to a tee. They're a solid addition to your workwear lineup and are great for casual wear, too. This ash heather grey top is made of a 90% ringspun cotton and 10% polyester in a 7-ounce jersey, so it's soft and comfortable. Wear it alone or under something else when you prefer layers. A flat neckline and two-button placket give this pullover it's classic Henley style. Don't let the casual style of this long sleeve shirt fool you: durable, triple-needle stitching and a taped neck seam are all business. A left chest pocket offers storage for essential items like pens and ID, the hidden utility loop adds convenience, and a tagless label eliminates irritation. Vented, taped side seams give this work shirt a breathable form, and a relaxed fit delivers comfort. 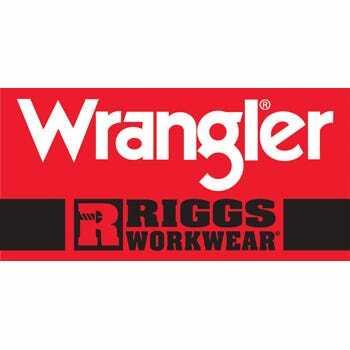 Outfit yourself with a couple of Wrangler Riggs Men's Ash Heather 3W750 AH Long Sleeve Henley Shirts and enjoy the comfort of cotton undies with the durability, fit, and wearability of a work shirt. Order from Working Person's Store today, and we'll send them on their way! 133 out of 134 people found this product review helpful. Wrangler makes some Great Shirts, and I own several of them, including this Ash Heather colored Long Sleeve Henley Shirt. This is a good quality heavy weight Shirt, and I like it equally as well as my Carhatt brand shirts. The Henley 3-Button Shirt is a bit more dressy than a regular Tee shirt, so they look good enough for pretty much any occasion. The Wrangler brand seems to run true to size, and they tend to come out of the Wash looking Nice too. This Henley Shirt looks quite Nice with Jeans, and I am totally satisfied. I recommend these Wrangler Henley Shirts to others at work all the time! Wrangler Riggs Shirts: Men's Ash Heather 3W750 AH Long Sleeve Henley Shirt is being added to your cart.